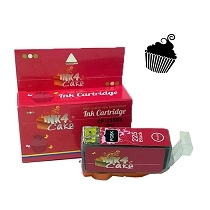 Turn your cakes into a piece of art with our high quality Canon edible inks 225/226. 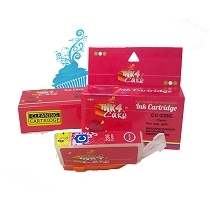 Set of 5 cartridges (PGBK,BK,C,M,Y). 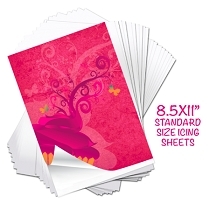 Get sharp and vibrant images; great to use with icing sheets or wafer paper. 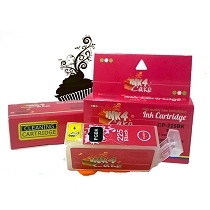 Compatible with Edible Canon printer C3. 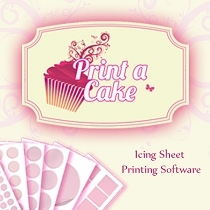 This is an awesome product, i have been purchasing sheets and inks for about 5-6 years, just received an order, love it. Great product, perfect description, affordable, beautiful colors, quick delivery, very happy with my choice. Product is great quality seeing time using it and I love it. 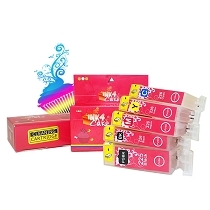 This cartridges are good quality,are easy to install, and I liked how fast was the delivery. These cartridges are great! I have had no problems with the ink bleeding or running on me. The colors are beautiful. Q: What does C3 & C4 means? 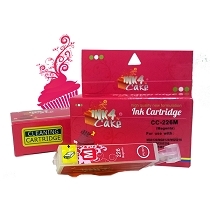 Q: Can I use this ink in the canon pixma mg2522? A: No you can't , not compatible ..
A: Particular model is not an edible printer nor is suitable for use with edible inks ... extremely high risk of contamination , do not use it . Inks used with this model are toxic. Q: hi. 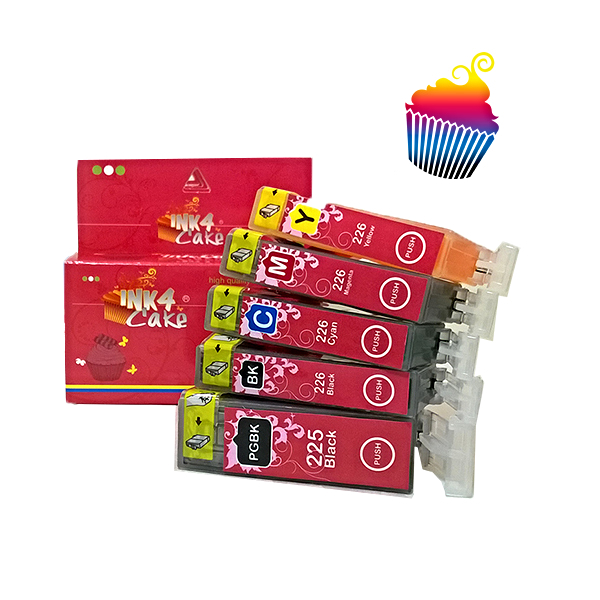 I am looking for the correct edible ink cartridges for my Canon MX-892 printer. I saw that you have one for C4, and another for C3. which one is the correct one I need? Thanks. Q: Are these or any of the ink cartridges for Canon refillable? Q: Is this compatible with pixma mx479? A: no it's not ..
Q: I can't find the right ink for my printer I bought from u all. It comes up as a Canon MG5300 on my computer. Is this correct ink? A: Yes it is ...correct set..
Q: Is this ink compatible for my canon mg5320?